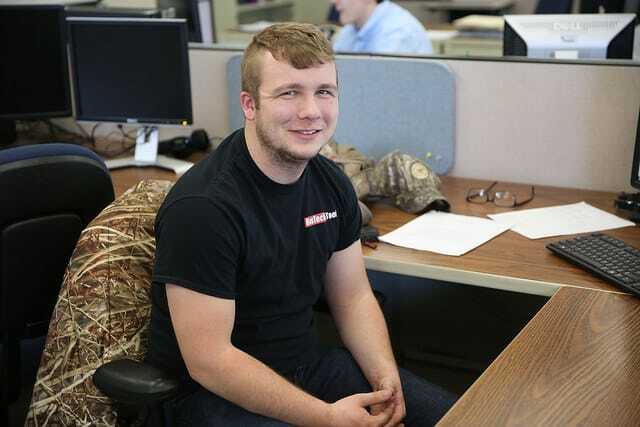 “My name is Jacob Reck and I’m from Fillmore, Wisconsin. I have a younger brother, he is planning to attend Moraine Park to study nursing. My hobbies consist of doing anything outdoors. I love to hunt, fish, and train hunting dogs. I currently have a 1-year old Chesapeake Bay Retriever that I spend a lot of time with. Congratulations to the 2018 graduates! 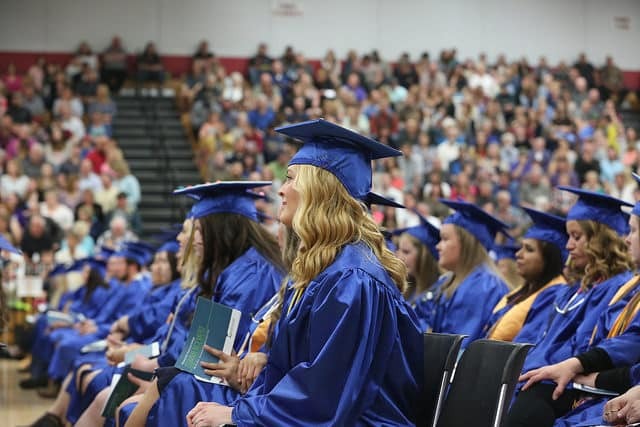 May 19 was a momentous day for the nearly 350 graduates who participated in Moraine Park Technical College’s commencement ceremony, held at the Fond du Lac High School Field House. 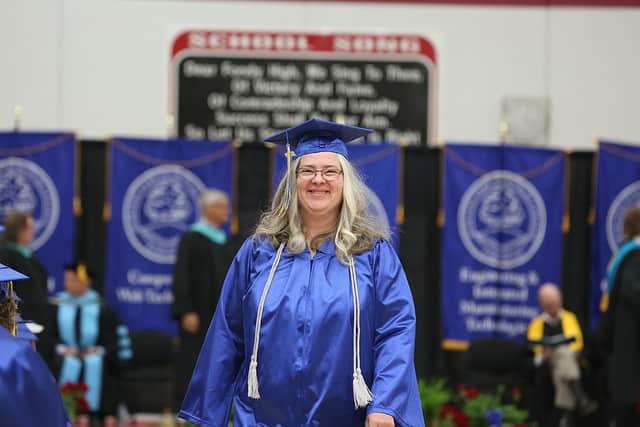 In all, the College had nearly 800 graduate candidates eligible to receive their associate of applied science degrees and technical diplomas. Keynote speaker, John Torinus Jr., praised students for their impeccable timing, stating that the job market is heavily looking for skilled and educated workers. He also impressed on the graduates to never stop learning and challenged them to always keep moving forward. Joseph Jaeger, a nursing graduate and Moraine Park’s 2017-18 Student of the Year, was the featured student speaker at the event. 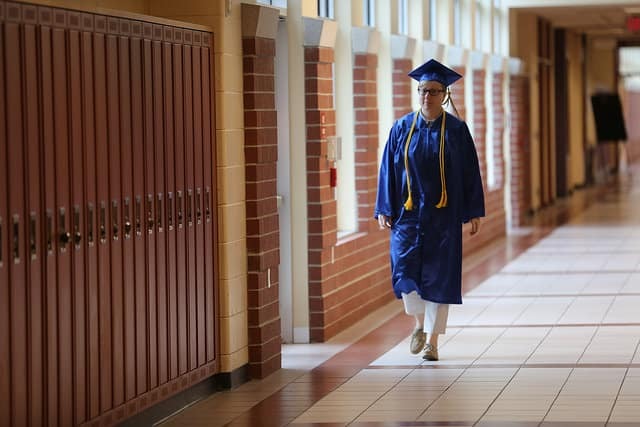 He also encouraged graduates to keep learning, and through telling his own story, reminded everyone that it’s never too late to go after your dream career. Dr. James Eden, vice president of Academic Affairs, presided over the presentation of candidates with the conferring of degrees and diplomas done by Moraine Park President Bonnie Baerwald. Dr. Kristen Finnel, dean of Health and Human Services, and Dr. Fred Rice, dean of Applied Technology and Trades, announced the graduate candidates. 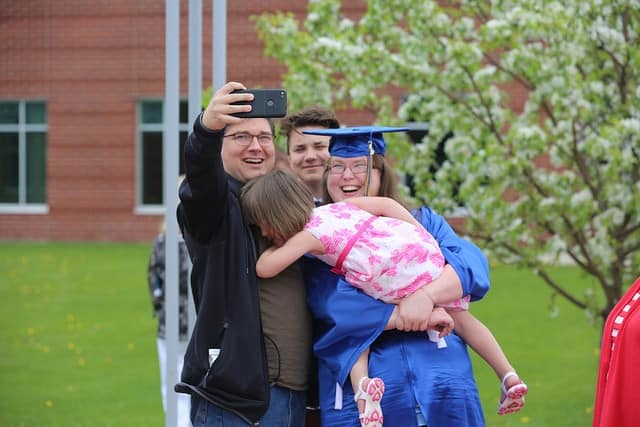 From the Moraine Park District Board, Chairperson Mike Staral, Employee Member Cindy Fields and Additional Member Cindy Laubenstein recognized the graduates. Staral, who welcomed the Class of 2018 and their guests to the ceremony, congratulated the graduates and their families on their accomplishments and encouraged them to keep moving forward. 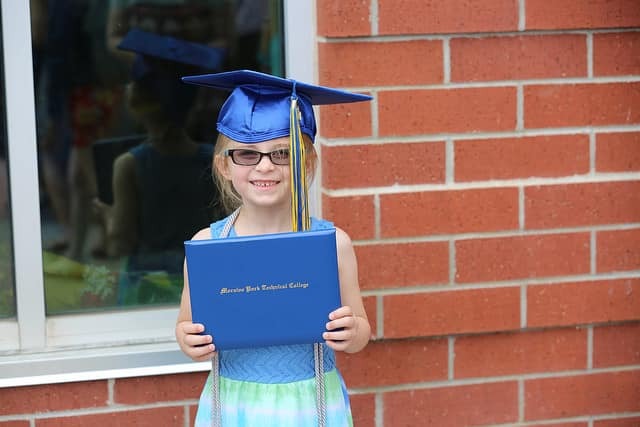 President Baerwald extended her congratulations to the graduates and extended her personal gratitude to the commencement speakers, Moraine Park District Board, Moraine Park faculty and the President’s Cabinet. 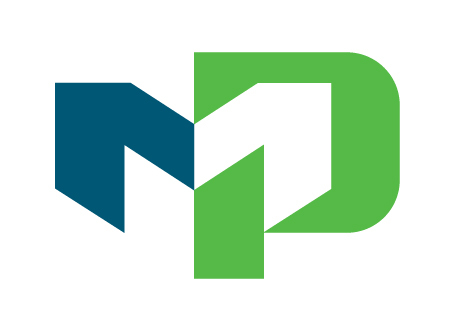 Moraine Park Technical College was established in 1912 and is one of 16 technical college districts that make up the Wisconsin Technical College System. 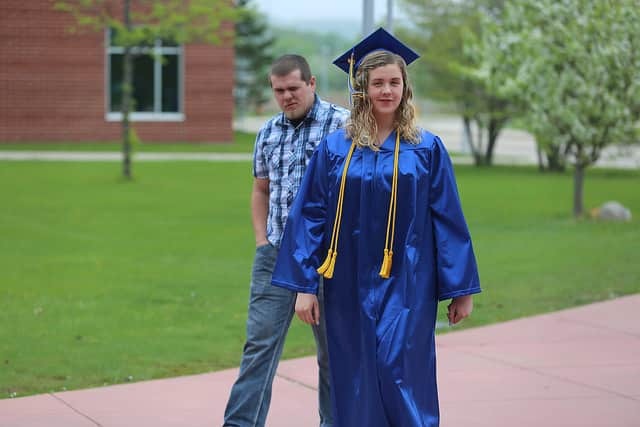 With campuses in Beaver Dam, Fond du Lac, and West Bend, the College offers more than 100 associate of applied science degrees, technical diplomas, apprenticeships and certificates delivered in a variety of formats — classroom, online and blended. Training and technical assistance for businesses are also offered. 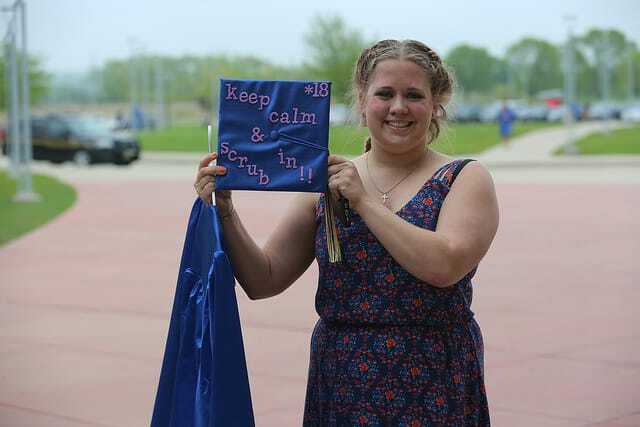 To view more photos from the 2018 Commencement Ceremony, go to facebook.com/moraineparktech. Moraine Park students in the Electrical Club earn the top three spots in the Industrial Motor Controls category. Pictured left to right: Brandon Schuster of Horicon, second place; Evan Kehrmeyer of Mayville, first place; Nick Freres of Brookfield, third place. 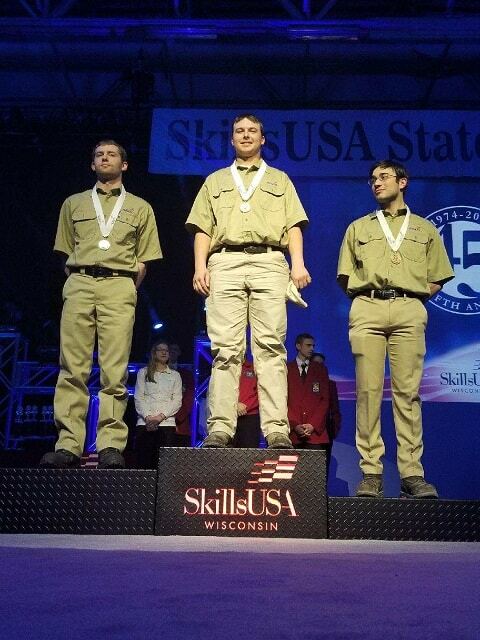 Moraine Park Technical College students from both the CNC Tool and Die and Electricity clubs recently participated in the 2018 Wisconsin SkillsUSA State Leadership and Skills Conference at the Alliant Energy Center in Madison, WI.